Asthma is a serious and potentially life-threatening illness that affects many children. Fortunately, there are many medications that can help control and prevent asthma attacks. The symptoms of asthma for most children include coughing, wheezing, and difficulty breathing. They may be brought on or triggered by having a cold, changes in the weather, exercise, or exposure to cigarette smoke, pollen, mold, animals, and pollution. If you can learn the things that trigger your child's asthma problems, it can help to avoid them, although finding asthma triggers is often difficult. Asthma is usually easy to diagnose in a child who is wheezing and having trouble breathing, but it becomes more difficult if the child only has a cough or cough-variant asthma. You should suspect that your child may have asthma if he/she has a chronic cough that is worse at night or when they are running and playing, even without wheezing. The main treatment when your child is coughing, wheezing, or having asthma trouble is to use a bronchodilator, such as Albuterol, Proventil, Ventolin, or Xopenex. These are also called 'quick relief' or 'reliever' medications. These medications are available for use with a nebulizer, metered dose inhaler, or syrup (rarely used). Younger children may be able to use these asthma inhalers with a spacer or a spacer and mask. The goal of treating asthma is for your child to be symptom-free and able to perform normal activities. Asthma should not usually limit your child's activities, unless they are having an asthma attack at the time. In addition to avoiding triggers, asthma can often be prevented by taking a daily preventative medication. These include inhaled steroids, such as Flovent, Pulmicort, Qvar, Alvesco, Aerospan, and Asmanex, which are used every day, even when your child is not having any asthma symptoms. These are available as metered dose inhalers and newer dry powder inhalers. Pulmicort is also available in a form (Pulmicort Respules) that can be given with a nebulizer, which is convenient for younger children. Other preventative medications combine a steroid with a long-acting broncholitator. They are used in children with moderate to severe asthma that isn't controlled with an inhaled steroid and can include Advair HFA, Advair Diskus, Dulera, and Symbicort. The other main type of preventative medication is leukotriene modifiers, such as Singulair (Monteleukast), available as granules and as a chewable tablet for younger children. If your child is already on a preventative medication and continues to need a 'reliever' medication on a regular basis, then your child likely needs to take another preventative medication or a higher dosage of their current ones. For example, if they are already taking Advair 100/50, then they may need to be increased to a higher dose, such as the 250/50 form of Advair and/or Singulair might be added to the treatment plan. The easiest way to monitor how well your child's asthma is being treated is to see if they are having any symptoms. If your child is not coughing or having trouble breathing and is rarely using a reliever medicine, then they are likely under very good control. If they frequently cough—especially at night or during activities—or if they are using a reliever medicine on a daily or even weekly basis, then their asthma is probably under poor control. Peak flows can help you monitor your child's asthma once they are five to six years old. A peak flow meter is a small device that your child blows into and, based on the number they blow, can help parents gauge if the child is having asthma trouble or is in good control. Pulmonary function tests are another tool that can help to determine how well your child's asthma is under control. However, it can usually only be done in the office of an allergist or pulmonologist. Most pediatricians do not do this test in their office. A treatment or action plan is a handy reference that your doctor should provide you with to help you know which medicines you should be using at different times. An asthma treatment plan usually outlines your child's daily medications and which ones to take when their peak flows are dropping or they are developing asthma symptoms. If your child's asthma is poorly controlled or if you still do not understand how to best manage it, a referral to a pediatric pulmonologist might be helpful. You might also look into taking an asthma education class if they are available in your area. What medications you should be giving your child and when to use them. Having an asthma treatment plan can help you understand what you need to do. How to manage an asthma attack. How to use a nebulizer (if you have one) and/or a metered dose inhaler (MDI) with or without a spacer. How to use a peak flow meter and how to interpret the results. 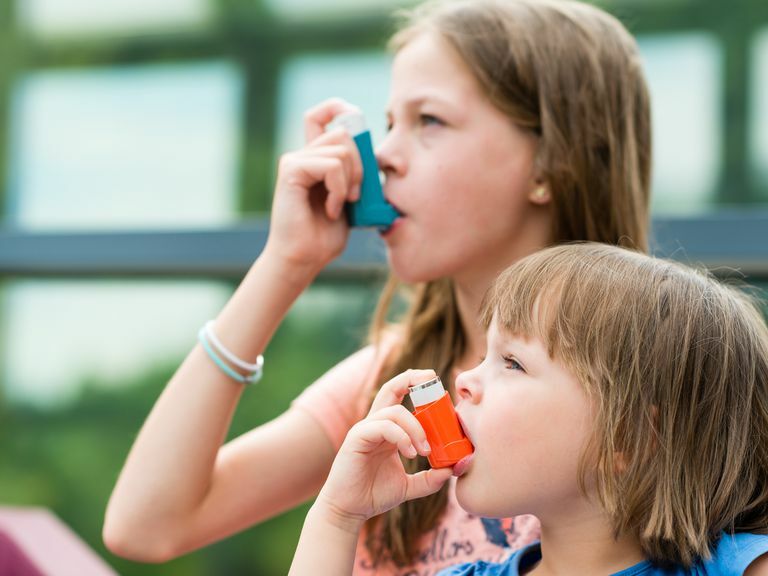 How to prevent your child from having an asthma attack, including understanding the proper use of preventative medications and avoiding triggers. What do you do if your child's asthma is not under good control? Learning more about asthma is a good start, but you will likely need a follow-up visit with your doctor or a referral to a specialist for more help. One big reason for a child's asthma to be under poor control is because they are not taking their medications or they are not taking them correctly. Bringing all of their medications to your next doctor's visit and demonstrating how your child uses them can help your pediatrician better assess everything. You might also consider that your child has allergies, especially if they also have a stuffy or runny nose when asthma problems occur. Many kids with allergies also have asthma, and uncontrolled or untreated allergies can make it difficult to effectively treat a child's asthma. Allergy testing might also be helpful if you can't figure out what triggers your child's asthma. Gastroesophageal reflux can also complicate and trigger asthma in some children, even in those that don't obviously spit up. National Heart, Lung, and Blood Institute. Guidelines for the Diagnosis and Management of Asthma. July 2007. What Rescue Medications Are Prescribed for Asthma Symptoms?